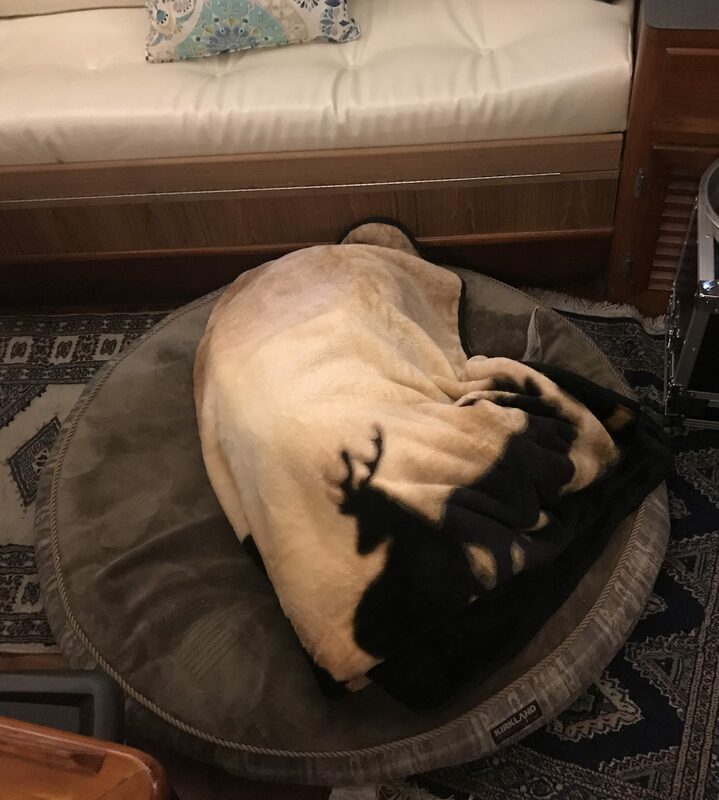 Quincy the Boat Dog is a Great Dane who lives on a sailboat. She’s not always sure how to take her owners. 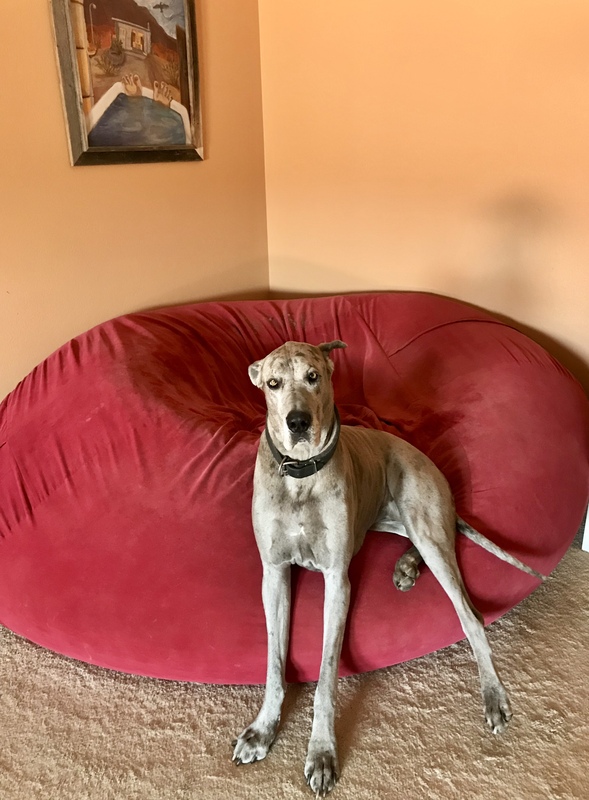 She loved her life in the lap of luxury in a house with heat and A/C and her exquisite giant red dog bed. Then things changed. She’s not sure how to describe them now. 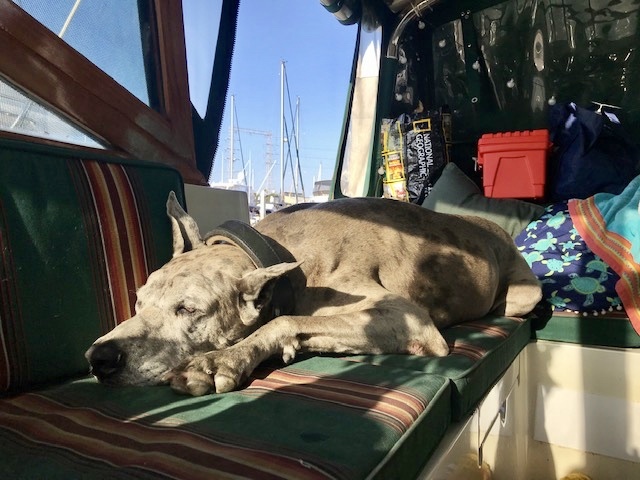 Today Quincy lives on a sailboat that’s getting prepped to start bluewater cruising in October of 2019, with Quincy the Great Dane onboard. So she decided to take this Sunday space to reflect on her former luxury accommodations and then show you her usual bed these days…quite a difference but we think she’s adapting nicely. Wow, my old bed was huge and warm and comfy. I can lay in the sun in these cushions, but they could use more padding. Am I under here or did they just throw a blanket on my bed? Do you believe that’s an entire 130 pound Great Dane under the Elk? 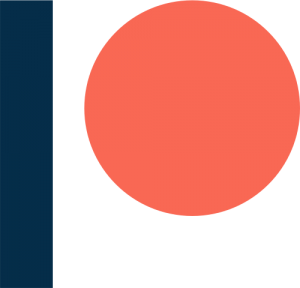 We’re LF2SF and we’re working on our boat in preparation to leave in October of 19- Follow us on our blog and eventual youtube channel, where our content will ALWAYS be free, fun and fairly factual. Sounds like an adventure of a lifetime…even if you have to forego your plush red bed! Have fun, Marie. You’re welcome! And that’s totally understandable, likewise here…the nature of life! !